Home/Tech/Google Tez is now Google Pay: Here is how to set up Google Pay, and send or receive money over Unified Payments Interface (UPI). 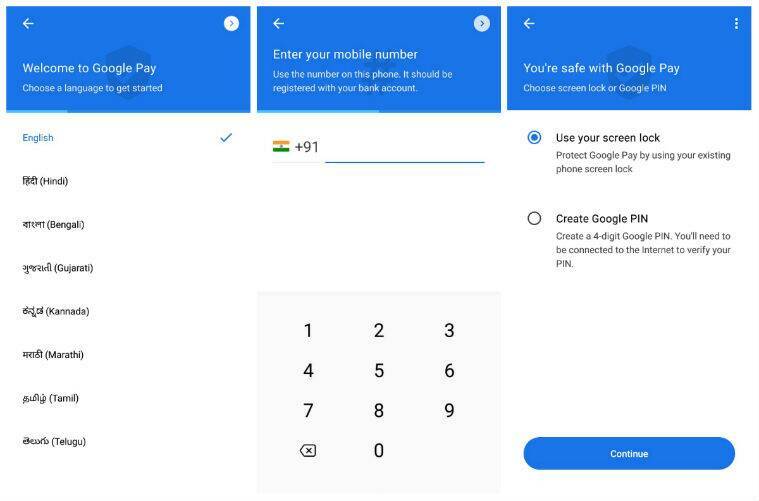 Google Tez is now Google Pay: Here is how to set up Google Pay, and send or receive money over Unified Payments Interface (UPI). Google Pay (formerly Google Tez) is an online payment app that provides users with an option to send or receive money over Unified Payments Interface (UPI). Google Pay (formerly Google Tez) is an online payment app that provides users with an option to send or receive money over Unified Payments Interface (UPI). Unlike traditional payment transfer methods like NEFT and RTGS, UPI makes it easier to send or receive money directly from or to a bank account in real time, just like a text message. 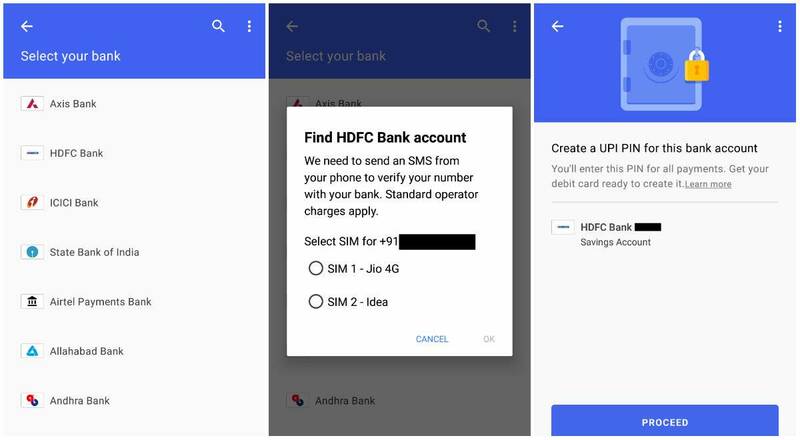 Let’s take a look at how to set up Google Pay, add a bank account and send or receive money over UPI. Before setting up a Google Pay account, Android users need to ensure that their device is running Android 4.4 KitKat or higher. iPhone and iPad users should be running iOS 8.2 operating system or higher. Step 1: Download and install the Google Pay app from for Android (Google Play Store) or iOS (App Store). Open the app and enter your mobile number registered with the bank account you would like to add. Step 2: Google will attempt to verify your mobile number by sending an SMS. Enter your one-time password (OTP) manually or let the app access SMS. Step 3: Set up a Google PIN for protection. You can choose either Google PIN or your phone’s screen lock. If you choose Google PIN, make sure you are online when unlocking the app. Adding a bank account to Google Play is easy. But before adding a bank account, make sure that your bank supports UPI. If your bank doesn’t work with UPI, you can’t possibly add a bank account to Google Pay. Open Google Pay app. Then tap your photo in the top-left corner. It will expand with different options to choose from. Now tap “Bank account” and then “Add bank account. Step 2: Google Pay will show a list of UPI-enabled banks to choose from. Select your bank from the list. Step 3: In case you have an existing UPI PIN, enter the same. In case you don’t remember your UPI PIN, tap “Forgot PIN” and follow the on-screen instructions. Once you have successfully added your bank account, you can send or request payment. Step 1: Select a person you want to send money to by their UPI ID, QR code or mobile number. You can also use Tap for Cash Mode. Step 2: Enter the amount and make the payment once you authenticate using your UPI PIN. Step 3: We also made payment using Tap for Cash Mode. For this to work, both sender and receivers need to be in proximity. This is how you can update or delete your existing bank account. Step 1: Go to Google Pay and tap on your profile picture at the top left corner. Then tap ‘Bank account.’ You will see the list of bank accounts you have added in Google Pay. Step 2: If you have added multiple bank accounts, tap the account you want to delete. Tap the three-dotted icon at the top right corner. Tap ‘Remove account’ option. Frequent chopping and changing has put Indian players under pressure, and it has impacted their performance adversely.